AIDS Foundation of Chicago, for 24 years of helping to lead the fight against HIV/AIDS by promoting cooperation among service providers at work across Chicago’s various communities, making more than $18 million in grants to agencies coping with AIDS in those communities, aiding the housing needs of persons with HIV/AIDS, and advocating for sound government HIV/AIDS policy. 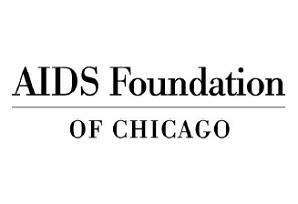 The AIDS Foundation of Chicago was formed in 1985 by a group of dedicated community activists and physicians including Dr. Ron Sable, Dr. Renslow Sherer, Judy Carter, and William Young, who were attempting to respond to the emergent devastation of AIDS in Chicago’s LGBT communities. The organization’s mission is to lead the fight against HIV/AIDS and to improve the lives of those affected by the epidemic. Known as AFC, the foundation is a local and national torchbearer in the HIV/AIDS struggle, collaborating with community organizations to develop and improve HIV/AIDS services; to fund and coordinate prevention, care, and advocacy projects; and to champion effective, compassionate HIV/AIDS policy. Since its founding, AFC has made many significant, long-term contributions to the quality of life of Chicago’s LGBT communities. Beginning in 1986, its Service Providers Council has united agencies helping people with HIV/AIDS from the nine-county Chicago metropolitan area in an effort to share best practices and ensure efficient, consistent service delivery. The regional HIV/AIDS case management system, which AFC convenes, is a national model of service integration. The system serves HIV-positive individuals who struggle with homelessness, mental illness, addiction, poverty, and other health concerns. Every year, upwards of 5,000 people receive assistance from the system’s 165 case managers working at 49 agencies across metropolitan Chicago. AFC’s grant-making program has distributed more than $15 million for HIV prevention, care, and advocacy projects since 1988. In 2005, for example, the program provided 50 local AIDS organizations with more than $1.4 million in grant funding, including many agencies serving LGBT communities. Working with community partners, AFC has built a system of affordable housing that addresses the prevention and care needs of people with HIV/AIDS. Today, this housing network provides rental subsidies and permanent supportive housing to more than 630 low-income people with HIV/AIDS and their family members, including LGBT individuals, on whom the disease has had an impact. AFC’s network includes thousands of activists who have fought throughout the foundation’s history for sound local, state, and federal HIV/AIDS policies. Disseminating accurate and timely information about trends in the epidemic is just one important way in which AFC has built public and private support for the fight against HIV/AIDS. The contributions of the AIDS Foundation of Chicago to the city’s LGBT communities are truly incalculable. For all that it has done, and all that it continues to do, the organization is inducted into the Chicago Gay and Lesbian Hall of Fame.